Because of the 24mm lens, the Sightmark Ghost Hunter might not look as impressive as a night vision monocular such as the NOXM50 from Night Owl and Nightfall 2 from Firefield, but this doesn’t mean that you should discount it right off the bat. It has got quite a few things going in its favor, but unfortunately the price counts against it as you can get better products in the same price range. You never know when you might find it at a bargain price though, so check out my thoughts on this monocular below to know what to expect. The Ghost Hunter has got a nice low-profile design that makes it compact and easy to operate out in the field. Because of the smaller lens, the weight of the Ghost Hunter is a bit lighter and I also like the fact that the lens is slightly recessed, which makes it a bit safer. 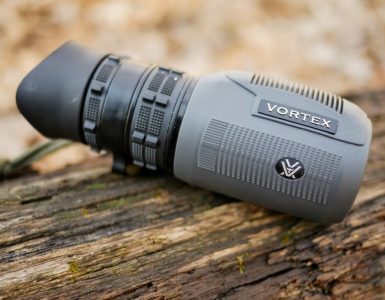 This monocular weighs in at less than 9 oz, so if you want something that won’t slow you down in the field I would say that this one is a safe bet. As far as weatherproofing is concerned, the Ghost Hunter is IPX3 rated so you can expect it to be water resistant, but not something that can handle being fully submerged. The case is made from durable plastic which should keep the device safe from knocks and minor falls, but it is still a good idea to be cautious when handling it. 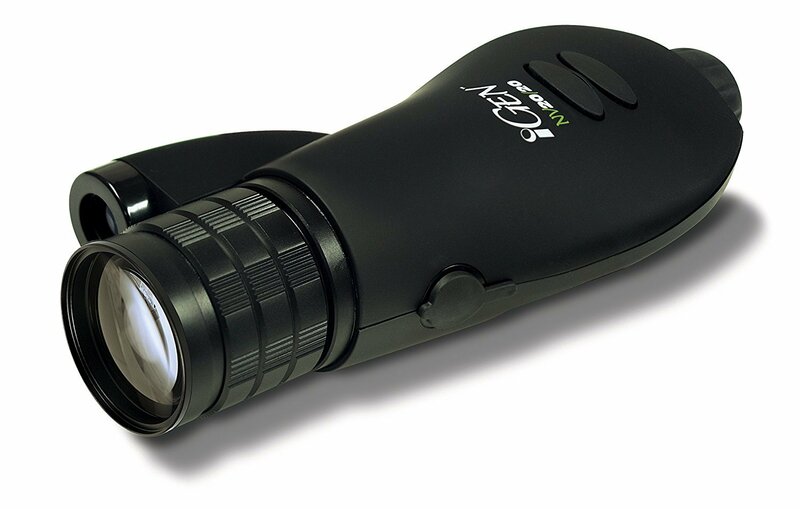 One design feature of note is the automatic shut-off which kicks in when the monocular is exposed to bright light sources. Anyone that has ever had the night vision tube on their monocular break because of sudden bright light can attest to how handy this feature is. The 24m lens is made from glass and not plastic as on some cheaper devices, so I am glad that Sightmark didn’t cut any corners in order to drive the price down. The buttons are located on the top of the Ghost Hunter and are easy to reach and operate in the dark. The design incorporates a 1/4″ socket which can be used to mount the Ghost Hunter on a tripod or weapon if you wish. It is powered by two AA batteries, which provide about 20 hours of use with the IR illuminator active and up to 72 without it. These are actually pretty decent figures and the best part is that the batteries are cheap enough to keep a few spares around and easy to find unlike some of the batteries required by other night vision monoculars. Included in the package is a handy nylon carrying case and lens cloth, but no batteries or other extras. The Sightmark Ghost Hunter is easy to use and powers up very quickly which is an advantage if you spot something on the spur of the moment and have to get your monocular ready. I prefer night vision devices packing a 50mm lens, but the 24mm on the Ghost Hunter gets the job done well enough. 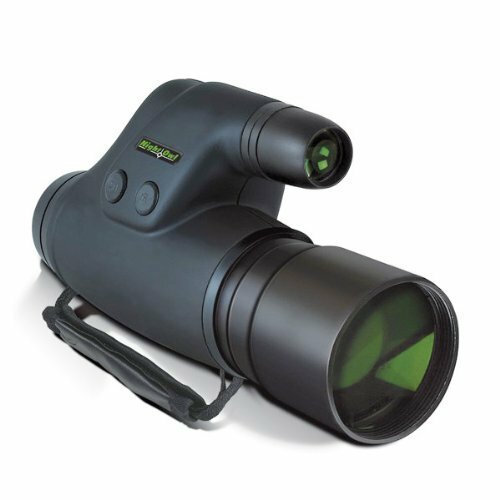 It only has 2 X magnification, but still has a very impressive maximum detection range. The fact that it has a minimum focusing distance of only one meter is also a bonus. On the technical side of things you are looking at a resolution of about 36 lines per mm and a 25 degree field of view which are all very respectable numbers. 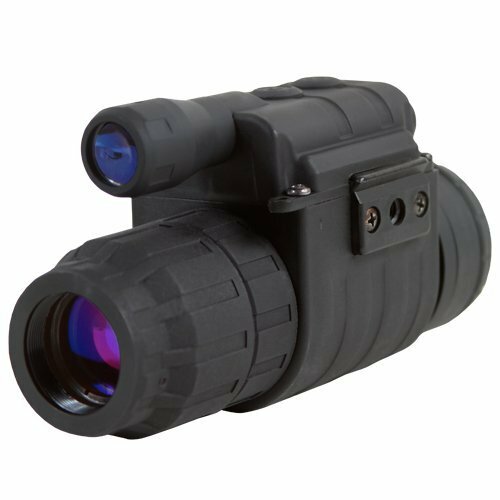 There isn’t a whole lot to complain about when it comes to the Sightmark Ghost Hunter 2X24 apart from the fact that for about the same price or maybe slightly more you can get a monocular that has a few more features. It is not a bad piece of equipment by any stretch of the imagination, but if I had the cash and the option to choose I would opt for the Firefield 5X50 Nightfall 2 or Night Owl Optics 5-Power NOXM50, both of which pack much larger lenses and higher magnification. Depending on the price you are able to get though, you won’t be sorry if you purchase a Sightmark Ghost Hunter. Take a look at the list of pros and cons below to see what I mean when I say that this is a well rounded device. I really like the versatility of the Sightmark Ghost Hunter as you can use it as a standalone device or as a sighting accessory for your rifle if need be. It might not quite have the specifications to go toe to toe with the high priced devices, but for basic needs you won’t be disappointed. It also doesn’t require much knowledge to operate which you will appreciate if you have had to fumble through obtuse instruction manuals in the past just to get a device operational. Although the Sightmark Ghost Hunter probably wouldn’t make it into one of my top picks when it comes to night vision monoculars it is still worth checking out if you don’t have other options available.